I wrote this post on behalf of Kivelli Baby. I received one Kivelli Vintage Collection bracelet in exchange for an honest review. This is not a sponsored review and all views and opinions are of my own and were not influenced in anyway. Kivelli Baby offers a wide range of elegant products for that special little one. 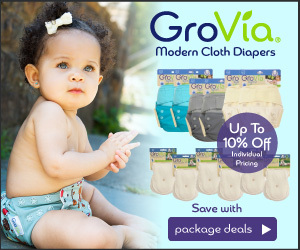 From cozy and super soft blankets, Lux Nap Mats, Lux Stroller Liners, Bathrobes and much more for that special little one. 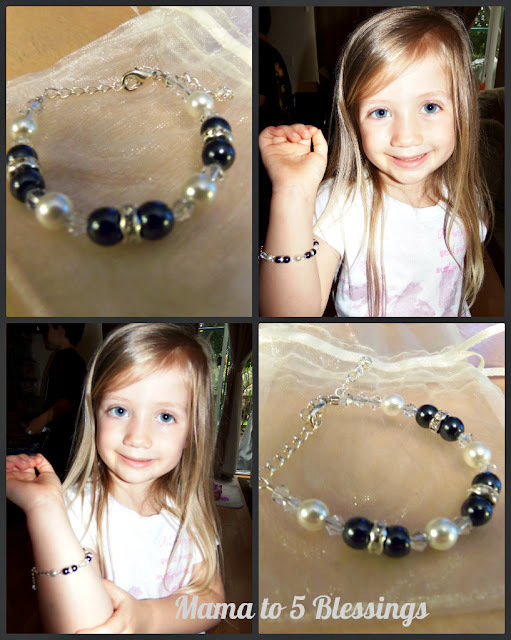 Another product Kivelli Baby offers is a bracelet line for little girls. The Vintage Collection and the The Layette Collection. Both bracelets are made quite beautiful. Like most little girls my daughter loves jewelry. Whether it be playing dress up or everyday wear she likes wear necklaces and bracelets. Her Kivelli Vintage Collection is her favorite, making her feel like a little princess in her jewels! The bracelet we chose to review has pretty white and gray/black pearl like beads accompanied with crystal sparkling gems and silver beads. Even though she is all girlie she is still four years old. This bracelet is made durable holding up to everyday wear. I like how dainty it is on her little wrist and allowing room for her to wear for years to come with the extension chain. When she outgrows it then her baby sister can wear the bracelet for years to come as well. Comes ready for gift-giving in a beautiful leatherette jewelry box. All bracelets feature an extension chain, so it can grow with the child. Fits most girls, up to age 12. Only for ages 3 and up. Kivelli Baby is generously giving one of my readers an Kivelli Vintage Collection bracelet of their own! Enter to win by using the below Rafflecopter form to enter for a chance to win this awesome giveaway! Please let me know if you have any questions. Open to the US, ages 18+. Thank you to Kivelli Baby for the opportunity. By entering this contest, you certify that you are 18 years old or older and that you have read and agree with the rules which you can read my policies and giveaway rules here. This giveaway is in no way sponsored, endorsed or administered by, or associated with, Facebook. Mama to 4 Blessings is disclosing this in accordance with the Federal Trade Commissions 16 CFR, Part 255 Guides Concerning the Use of Endorsements and Testimonials in Advertising.